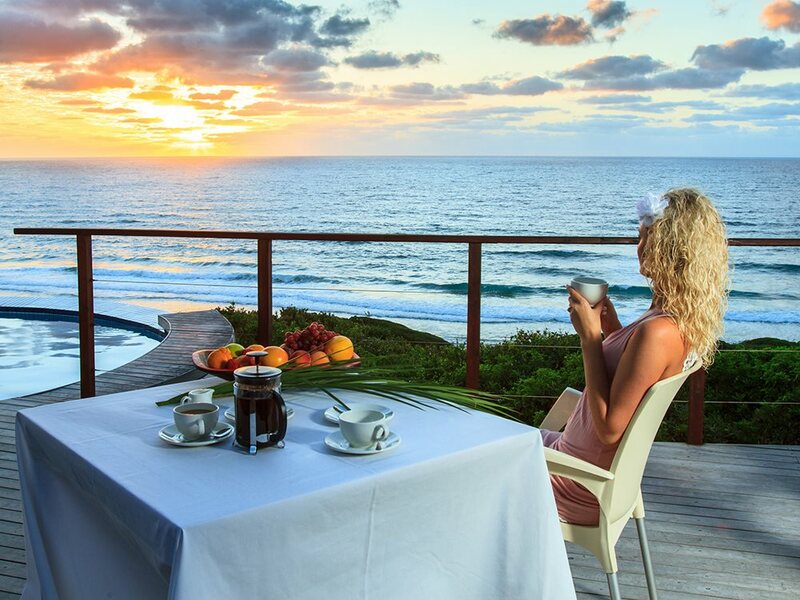 One of an increasing number of more stylish lodges now opening up on the mainland coastline of Mozambique, Massinga Beach occupies a blissfully isolated position perched above a seemingly endless stretch of beach 90 km north of Inhambane. We love the Ocean Front Deluxe rooms in particular where you can relax in the plunge pool on your private deck whilst your eyes drink in the 180 degree views! The rooms are spread out and quite high up on the ridge so you're not on the beach itself - but just jump on a golf cart and you're there in 2 ticks! 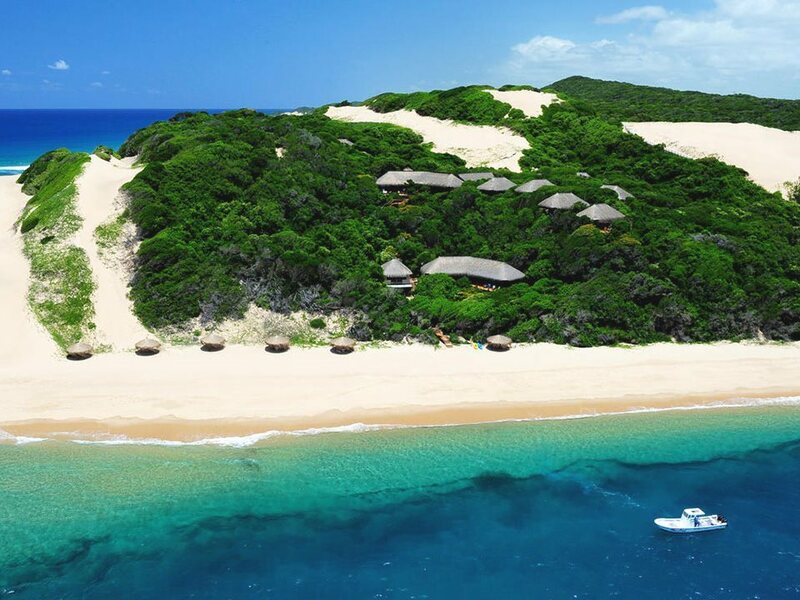 Over the last decade or so, virtually all of the better, more upmarket beach lodges in Mozambique were to be found on the islands of the various archipelagos lying off the coast - and without fail these very exclusive properties have become more and more expensive. So it’s been great news to see the opening of an increasing number of excellent yet more reasonably priced lodges along the mainland coastline in recent years – and Massinga Beach looks to be one of the most lovely of the new arrivals! The Inhambane/Tofu area is one that is extremely popular with South Africans holidaying in Mozambique – especially the self-drive, self catering market with their 4x4’s who have found it perfect for an affordable holiday complete with sun, palm trees, cheap seafood and beer and with excellent fishing and diving. Unfortunately that has also meant that it hasn’t been particularly suited to more upmarket clients looking for a spot of peace and quiet away from the crowds. 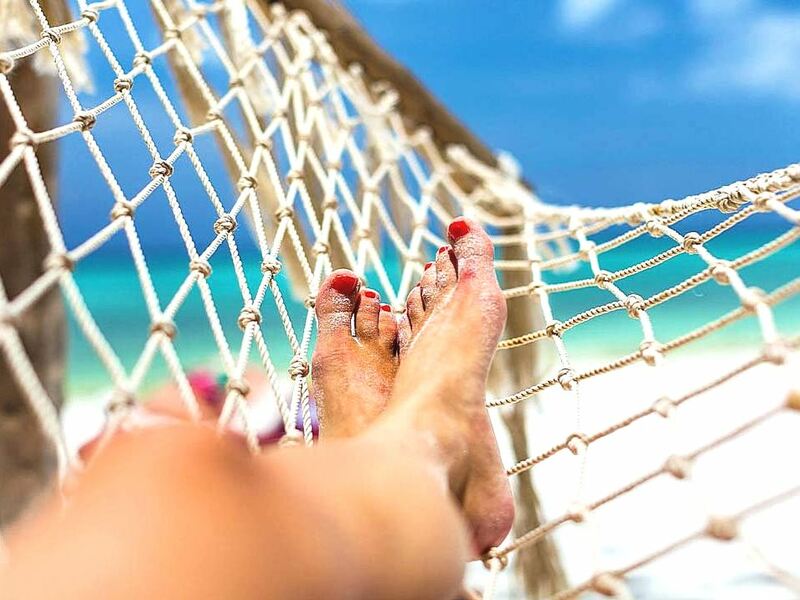 But whilst it’s accessed via Inhambane airport, Massinga Beach allows you to escape the crowds as it enjoys a stunningly isolated and remote location about 90 km up the coast from Inhambane. It's a 2 hour transfer up to the lodge but quite a fun experience in itself as after being met at the airport you take a hop by dhow across the bay to Maxixe where you are then transferred for the last 45 minute stretch by vehicle to Massinga. Approached through endless groves of palm trees, the lodge stands perched on a ridge with breathtaking views over a seemingly endless stretch of pristine sandy beach. Whilst the lodge will no doubt be popular with discerning divers, fishermen and families, we feel that the gorgeous and luxurious rooms make it particularly suited to honeymooners or couples wanting a romantic break away from it all – particularly the 16 luxurious Ocean Front Deluxe Rooms. These each boast a private splash pool on your deck where you can enjoy the 180 degree views from the comfort of your sun loungers – the good news continues inside the spacious rooms which include an outsized king bed complete with romantic mosquito net and crisp linen. Add a stunning en-suite rain shower, free‐standing bath tub opening out onto a private deck as well as luxurious white bath sheets and you have the recipe for some serious romance (good thing then that there’s a free‐standing fan as well as separate air‐conditioning to take the edge off the Mozambique heat!) Families with children are accommodated in the second row rooms known as the Ocean View Junior Suites which add a separate lounge area with 2 sleeper couches perfect for the kids - they also get their own 2nd bathroom. Those same breathtaking views of the untamed beach, stretching north and south as far as the eye can see, also dominate the lodge’s public areas – during the late winter months you may even be lucky enough to spot whales cavorting in the distance from the comfort of the elevated decks whilst relaxing with an ice-cold beer or your favourite cocktail. The friendly attentive service is also complimented by scrumptious cuisine. As you might imagine, superb fresh seafood is the order of the day here! The seductively exquisite views, calming rhythm of the waves breaking on the sandy beach and the remote location ensure that Massinga Beach is all about tranquility and escapism - being on holiday here really does entail doing as little or as much as your heart desires! The unspoiled white sand beach below the lodge offers wonderful and safe swimming – note though that unlike the islands where fringing coral reefs mean that the sea is like a giant pond, here you’ll be able to enjoy playing in the rolling breakers. One definite “must-do” is to take a leisurely stroll along the unspoiled and deserted white beach where you can find the perfect spot to enjoy your own private picnic. Down at the beach is a fabulous swimming pool and beach bar - and the good news is that access is by golf cart so you don't have to worry about schlepping up and down the hill! Perched in a pristine dune forest and enjoying stunning views over the narrow channel between Inhaca island and the Santa Maria peninsular, Machangulo Beach Lodge offers a host of activities for the whole family, including world-class fishing and snorkelling!